You have a brick-and-mortar business. You have a great business idea. You are ready to open a business online, but How? The process of starting your business online is no different than starting an offline business. It is as simple as that! You must start an online business with a plan just like you would with your brick-and-mortar business. Your business plan must have goals, objectives, and budget. Why am I going online? What are my objectives or goals? Will I build my own website or outsource? The answer to these questions is the foundation for your online business success. You have an existing business or an Idea for an online business. You have a business name or will come up with one. You can use a business name generator and suggestion to find a great business name. You have a business plan, if not then you can use this article to help you writing a Business Plan. Your business name is your brand. This is how people know and find your business online. Choosing a name for your online business is a very important business task. Must my online business name be the same as my Offline business name? Let me put it this way if you can get the same business name for both, GET IT QUICK. Because your online business name is your domain name and your web address. The problem is that you can only have one domain name. Each domain name is unique. This is how people identify and find your business online. Example: Your business name is GRANDE MARKET. This might be good for a brick-and-mortar store, but online this domain name might have already been registered by someone. In this case, you cannot have this name for your online business. Getting the name for your online business is vital. You must register for a domain name as soon as you can. This can be done with any domain registration company. If the domain name is already taken, yo have to come up with a new name for your online business. How to Choose A Name for An Online Business? If your business name is not available after checking with the registration company above, do not feel bad. Most of us are in the same boat. Look for a similar word, or a synonym for your offline business’ name; if you can. Go for the name that is Brandable – It’s a unique and memorable name. Remember, the new name must be available, so please check for availability. Just like your brick-and-mortar store, you need a place to build your business online. This place is called Web hosting. The web hosting company will rent you space on its server to build and host your website. Yes, they will charge you monthly rent, but much cheaper than a storefront. Not all hosting companies are equal. You must do your homework before signing up. Look around for the best one. Building a website requires a lot of times, changes, and corrections. You should do all this on a free account. You want to have a chance to try out the services first before purchase a hosting plan. It is a big hassle to change hosting service. It costs money and the loss of online revenue every time you have to change hosting provider. So, Test Drive First Before Sign Up. Upgrade only when you are ready to launch. This will save you money. Free Training: This is another important feature to look for. You will need a lot of training to maintain and update your site. You will be responsible to write, edit, and update your website contents after it launched. You will need the free online business training! Download and Upload Speed: This determines your site speed, the faster the better. Amount of Data Space: This determines the amount of data you can store. If you have an eCommerce site, data space is very important. Security: The site must be secured to protect customer personal information. Site Support: 24 hours of support is a must. This is important if you are planning to design your own website. WordPress is very easy to use, and it is the most popular web design platform on the internet. Using WordPress make it easy to get free training and tutorials as you’re building out your own website. It times to do some real works, build your online business. You have two options: Do It Yourself or Hire Professional. Which way to go? Build your own business website is much easier than you think. You need a basic eCommerce site. Your business online is to provide information only, like a Blog. 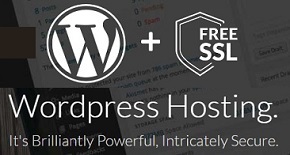 Most web hosting companies offer free web design tool, but nothing can compare to WordPress. It is easy to learn and user-friendly. It comes with thousands of free web templates for you to further customize into your own. You do not need years of study and training. There are lots and lots of free training and tutorial online to walk you through the design process of a WordPress Website. You should consider this option if you have a store and are looking to sell products online. There are many e-commerce platforms available online to help you launch an entire online store in a few hours. One very popular e-commerce platform is Shopify. Using this platform, you can open a business online to sell goods and products with only a few clicks of a mouse. You can manage and organize your products, customize and design your storefront, accept all major credit card payments, and even track orders. Shopify is currently offering a free trial account, so you can build out your storefront. Currently, over 600,000 businesses are using Shopify’s e-commerce platform. So, if you have a retail store with a few hundred items. Before Shopify, to open this business online, you have to hire professional web-developer to build an eCommerce store. With the Shopify Automated App, you can open your own business online with a few clicks of the mouse by selecting a professional web theme, a payment processor, a product processing app, upload pictures of inventory. Your online store is up and running in minutes. Shopify makes it very easy to do so. You can visit Shopify to learn more. Your website is now completed. You have already launched the site. However, a new business online, the question is how can you find customers for your new business? For people to see your site, you must advertise. I do not mean calling up your local newspaper to run an ad in the Sunday paper, No! You must do web marketing or digital marketing. Web marketing is the method of promoting or marketing your business online to generate traffic to your website. The two ways to generate traffic to your online business. They are free and paid. The methods to generate FREE traffic to your new online business require lots of work from you. The concept of traffic exchange is this, ‘you visit my website and I’ll visit your’. Usually, exchange traffics are Free. However, there are some major problems with these exchange programs. Used of Bots: Members use Bots to rack up points. These Bots click on your website and Google can detect them. This can result in manually deindex of your website. This means your website is banned from indexing. No Conversion: Well, the name says it all. People join the Exchange for free traffic, not to buy anything. If you still like to join these programs, make sure Bots are banned or not allow. You want real human traffic exchange programs such as Followlike.net or LinkCollider.com to avoid getting into trouble with Google. SEO is the marketing technique to get free traffic from Google, Bing, and Yahoo to your online business. SEO requires both technical skills and creative elements to improve site rankings on the search page which in turn increase awareness of your business online. SEO requires training, practices and patient to see results. It takes six months to a year to see free organic traffics. But the free traffics are generated for as long as your website exists. There are many FREE SEO lessons offers for beginners which I encourage you to take and learn the basic of SEO. The information offered in these free SEO lessons will teach online business owners the right way to promote their business website successfully using SEO. Paid web traffic is advertising your business online. You are purchasing traffics to your business website. You can purchase traffic directly from Google, Bings, and Yahoo, or from private websites networks such as Revisitors and Real Traffic Source. You are purchasing traffic from private websites network, publishers, or news agencies. There are a few issues you must consider before purchasing traffics. Some private networks use Bots. Be careful, this can become a major problem for you as we have discussed above. It cost money. Some of them are very expensive. You must budget for this. Lack of tracking tools to know where your traffic came from. When looking for a private online advertiser to purchase traffic, remember to sign up with real human traffic Networks. Never, never purchases from a Bot traffic generator, Bots should be free. It is the process of getting traffic to your site by purchasing ad placement on search engines such as Google Adwords and Bing Ads. There are many ways to promote your online business. The most popular marketing method today is content marketing. This is also known as Affiliate marketing. Never confuse affiliate marketing with an affiliate marketing program. The affiliate marketing program is created by businesses to allow affiliate marketers to earn commission by promoting their online business. You might want to implement this program as a way to promote and market your online business. Affiliate marketing technique refers to the process called content marketing used by affiliate marketers to promote and sell products or services online. This is a marketing technique, not a program. I have shared with you the 4 simple steps to Opening A Business Online. 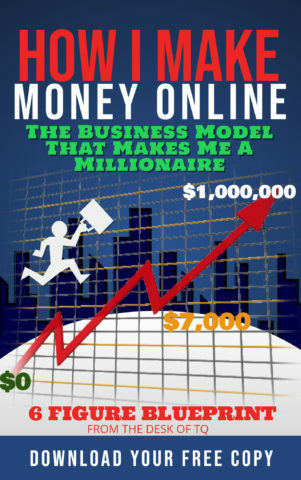 To run a successful online business, you have to continue learning. The real works begin after you launch your online business website. Like your offline business, your online business also requires continuous promotion to bring traffics and customers. The good news is that you can learn online marketing skills yourself. This Free Online Entrepreneur Certification Training is a good place for you to start learning the basic skills of building a successful business online. The program is entirely free and offered by the Wealthy Affiliate University. This certification will provide an in-depth understanding of an online business operation, including website promotion, SEO and SEM marketing techniques, and more. I hope you enjoy reading this ‘How to Open a Business Online Guide‘. It is very simple, and you can do it. If you need business ideas or want to learn more ways to earn money online, I suggest you read our Earn Money Online Blog. This was really a huge eye opener for me, and I love how informative you were. I have been in the online business industry for a few years now, and can say that I have used a few of these methods to build a successful business. Talk about powerful techniques when applied correctly. Thanks so much for sharing. Great to have a confirmation from an actual Online Business Owner. These are all proven techniques to build a successful online business. I use them to build a few successful businesses online. These steps are very powerful when you use them correctly. Thank you for the vote of confidence. In 2012, Google updates its algorithm to combat what SEO industry called the Exact Match Domain Update (EMD). EMD was the method of getting ranked #1 by purchasing an exact keywords domain name. These Online Business Websites offer no quality contents, no backlinks, just nothing. It was trash! After the 2012 update, any website with EMD will be pushed to the bottom of the search result. This does not mean your Online Business Domain Name cannot include a keyword. It just cannot be EMD. If all your current domain names are EMD, then I recommend you make some change to improve your SEO ranking. I recommend choosing an Online Business Domain Name that is brandable. This will help build authority over the years. This is called Domain Authority (DA). DA is scored by, internal links structure, site popularity, and age. This is why you want to spend all your time building up your brandable domain name into a powerhouse domain name (DA). This is an amazing article on how to open a business online! I love how you go into great detail for all the steps and how you inserted some of the training videos to help readers. I think that is brilliant. How long have you been doing this? I have only been doing this for about a month now, I am loving what I do even though I haven’t made any money. I know that will come considering I am only just beginning. Thanks for all the info. Thank you for stopping by. How long does it take for you to earn money online? The answer to this question is all based on your niche business and how much time you spend promoting it. The more you promote your business the faster you earn money. But the most important part of this business is building your contents. Your contents have to build trust and value to visitors before they are willing to do business with you. I have been doing this online business for over 10 years now and counting. I love the arrangement of your post, Open a business online, to its writing that is so informative and educative. One issue I will want to get more idea on is web traffic. It is difficult to identify which is good. Recently I fell into one group hands that even connecting them was a tug of war and when I finally got them they told me they were not in charge but hire to a third party. I think people should be informed of these groups so that other innocent people will not fall victims. Rather than advertising my website they were advertising theirs everywhere including in my systems. Thanks for every explanation, it makes me see myself as not doing much especially I have just started approaching the classroom lessons. And I see that they will really be of help to me in various ways. Thanks for this great article and am wishing you success. Getting good traffic to your website is always a tug of war. There are so many companies online claim to deliver real traffic, but in reality, most of them are fake or Bots traffic. The best way to find real reliable traffic providers is by reading reviews. I will publish my own review soon and will update you. I am currently doing research and testing out some providers. I can tell you much, most free traffic exchange programs are not worth to join. Especially if you are in the Adsense program, it is a sure way to get yourself banned, so do not join them. I have to set up a separate website to conduct my research. Stay too for the update.